The voice was so strange, and at the same time so familiar, that she couldn’t speak for a full minute. “Hello? Who’s there?” The touch of impatience told her that she didn’t have time to indulge in wondering where the voice was coming from. The silence now fell on the other end of the line as she waited to be told she was imagining things. Finally, the voice she’d thought never to hear again came back. “It’s nice to hear your voice, too,” she said stiffly. Clearly he hadn’t wanted to talk to her. But then, I already knew that, didn’t I? “So I gather. I’ll just take a message for Andrew then, and you can get back to...to...whatever you were doing before you called here. For Andrew.” Not for me. Didn’t call here to talk to me. 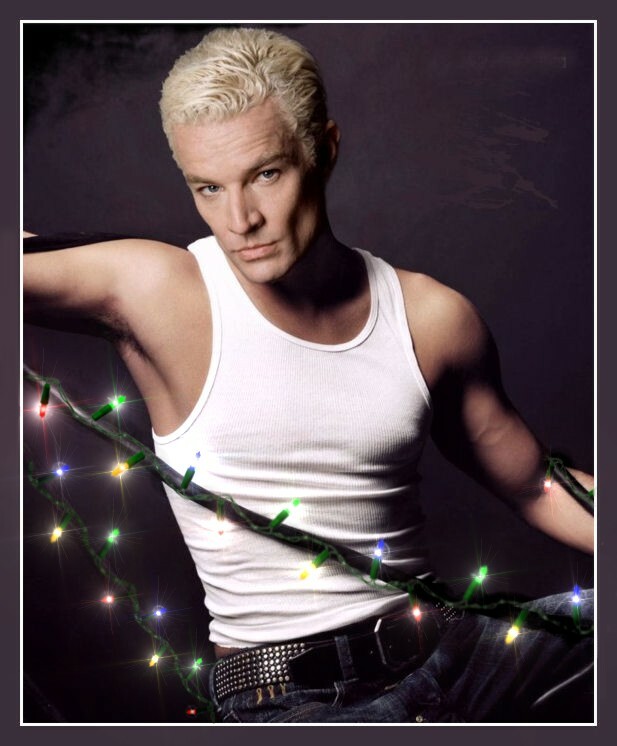 There are three banners below the cut, all are repeats from past noel_of_spike entries. Not quite sure when I made these, since they were made before I started signing and dating my artwork. I've tweaked these a bit, mostly coloring and "signing" them. Enjoy!